Product prices and availability are accurate as of 2019-04-21 03:50:54 UTC and are subject to change. Any price and availability information displayed on http://www.amazon.com/ at the time of purchase will apply to the purchase of this product. One of the best! 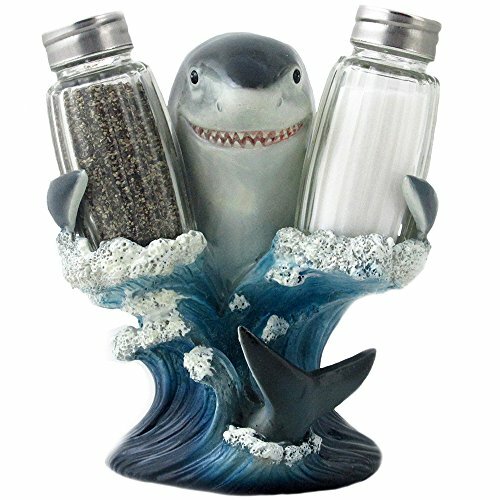 Buy Decorative Great White Shark Glass Salt and Pepper Shaker Set with Holder Figurine for Beach Bar or Tropical Kitchen Decor Sculptures & Table Decorations by Home 'n Gifts securely online today. 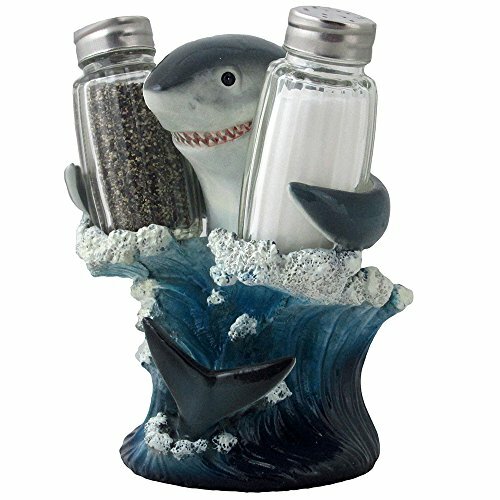 With an action pose and strikingly realistic coloring, this mighty shark salt and pepper shaker set is an awe-inspiring sight to behold! 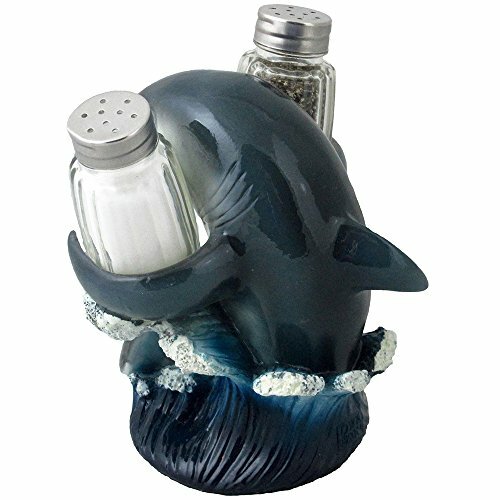 But don't be afraid, as this fellow is just here to add deep sea drama to your kitchen décor. Remarkably detailed from nose to tailfin, this handsome ocean creature is one seriously smart piece of sculpture. It looks great in the fanciest or saltiest of establishments! Makes a great Christmas gift for any collector of tropical décor. 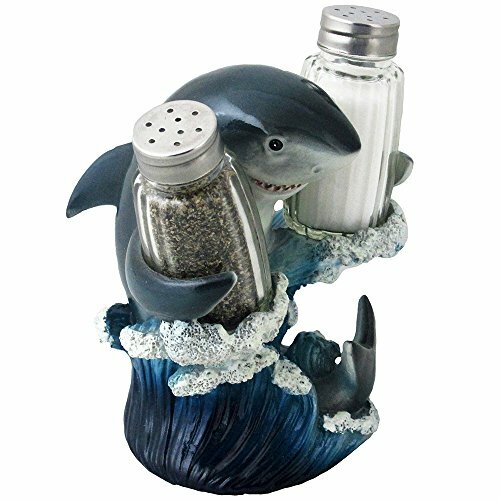 With an action pose and strikingly realistic coloring, this mighty shark salt and pepper shaker set is an awe-inspiring sight to behold! - See full description below. Dimensions: 5 1/8" x 4 3/4" x 6 1/4" high (5 7/8" high without shakers). Weight: 1.3 lbs. Individually hand-crafted from cold cast resin with glass salt and pepper shakers. Because our polyresin products are individually hand-crafted works of art, colors may vary slightly from what is pictured here. Spices not included.